The word vacation is very much associated with resort, leisure, fun, activities, food and local travel. The accommodation you select during your vacation will decide your holiday experience to large extent and you should make your decision for better experience. The accommodations at tourist place can be availed from hotels or resorts which may mainly depend on the choice and budget of the traveler. The resorts are always a big hit amongst the leisure travelers as there are plenty of avenues to explore and your every moment may actually turn into memorable experience. The hotels are also having luxurious rooms and all sorts of amenities but then what makes the resort the first choice for travelers? What makes resort a better vacation accommodation than a hotel? The hotels and resorts are both meant to offer the better stay and hospitality that will make their guests comfortable. The luxurious hotel room will always pamper your senses with its exquisite comfort but then you still crave for the resort, why? The holiday resort is the all-inclusive accommodation idea that can be selected for the following inclusions. Luxurious Rooms – Not all holiday resorts fall into 5 star category but you can still look for the decent resort that fall in your budget. The rooms may not fall into super luxurious category but the decent clean room with comfortable bed may also serve your purpose. 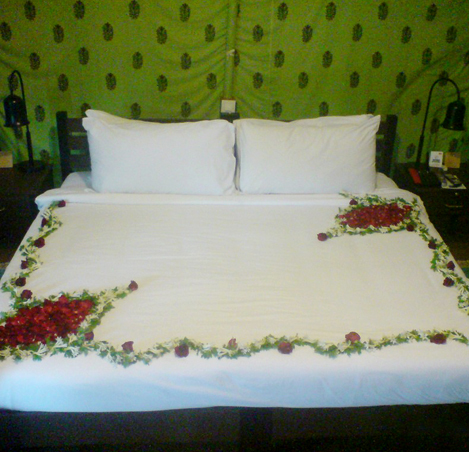 The cleanliness, hygiene and comfort are always offered by most of the decent resorts. Activities that will keep you busy – The hotels and specially the business hotels may not have many family activities. The tourist hotels may allow you to indulge in many indoor activities and some of them will always arrange some outdoor sports but the resorts will have all. The resorts are usually built in large land area and hence all activities like badminton, swimming, tennis, volleyball, billiards, pool and many others can be arranged here without experiencing space constraints. You will find the sports of your choice for sure when you plan your stay at some leisure resort. View to relish – The rooms at hotels may come with some beautiful view but you need to be lucky enough to get that room loaded with exclusive view of mountains and valleys. The rooms in resorts are spread amidst mountains, near rivers, around the swimming pool, along the landscaped lawns and surrounded by water bodies so as to offer every room a unique view to relish. You can enjoy every moment of your holidays even while cuddling up in the blanket when you have opted for the resort. Spa and crèche for children – The relaxation can come when you visit a spa or your child is taken care of by someone else. During this time, you get to spend time with yourself. The business hotel would surely miss on these aspects while many of the tourist hotels also lose out on these requirements. The resort on other hand is meant for rejuvenation and relaxation, hence you will get all these facilities here and that goes without saying. Your next vacation can turn out to be 10 on 10 if you make sure that every selection starting from travel, accommodation to food and sightseeing is bang on. Author Bio: The author of this article is associated with Olde Bangalore Resort, a premium resort located close to the Bangalore International Airport, offers luxury tent accommodation, multi-cuisine food and beverages, corporate event facilities and many more.